Below you can find the life cycle for each version of programming language Silex, like Silex 2.2, including release dates and end of life (EOL) dates. 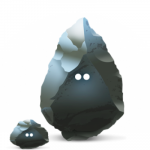 Silex is a PHP micro-framework based on the Symfony Components. The general purpose of Silex is to be as lightweight as needed with the possibility to extend the Silex base with new features. Silex is mostly used for the creation for REST APIs but it is possible to extend into a full blown MVC framework. End of life dates are not official. It is assumed that with a minor release the previous one is no longer supported. As announced on the SymfonyCon Silex as a product will be end of life in June 2018.